Speaking out for others is a core value for many charities and should be defended, writes Dr Kirsty Nowlan, executive director strategic engagement, research and advocacy at The Benevolent Society. Australia’s democratic system was built on, and relies upon, individuals and organisations, including charities, contributing to and engaging in public discourse. The Benevolent Society is concerned that the overall effect of the proposed Electoral Legislation Amendment (Electoral Funding and Disclosure Reform) Bill 2017 will be to stifle public comment and engagement on issues of public interest, and to undermine legitimate advocacy by charities. We fear that additional administration and the threat of penalties will deter some charities from speaking out, including those that do not have the resources to comply with additional administrative processes, and those that fear recrimination or cuts to their funding if they express their views on particular issues. As Australia’s first charity, we have been using our voice to speak out on issues impacting our community since our establishment in 1813. At The Benevolent Society, speaking out for those that can’t speak for themselves isn’t just something that we do, it is part of who we are. Our core value remains to speak out on the issues that matter and make a difference every day for people of all ages and backgrounds. Our advocacy has contributed to a number of changes and innovations which have had a real and positive impact on the lives of many and in the development of the social democracy that Australia has become. For example, in 1896, our then president was a leading voice in the campaign for the introduction of the age pension, which was subsequently introduced by the NSW parliament in 1900. Our president also campaigned to outlaw child labour and initiated the introduction of the NSW Child Protection Act in 1896. We were pioneers in the establishment of maternity care for women and children, opening the first Royal Hospital for Women in Paddington in 1905, and establishing the first antenatal clinic in the British Empire in 1912. Times have changed, and our organisation has evolved with those changes, yet we continue to speak out on issues which are important to us. Last year we discovered that many Australians solely supported by the age pension are struggling to make ends meet. Some are turning off the hot water in summer to cope with the rising costs of electricity, others are going without meals, or mashing their food because they can’t afford a trip to the dentist. We couldn’t just sit by and let this go unremarked. With partners, we launched the report The Adequacy of the Age Pension and have continued to speak to politicians and communities about what can be done to better support older Australians enjoy their retirement without deprivation. Advocacy such as this would be captured under the government’s proposed new laws, meaning The Benevolent Society would need to register and report to the Australian Electoral Commission (AEC) and be subject to additional financial reporting and staff disclosures, notwithstanding that such advocacy is permissible and already regulated by Australia’s charities law and the Australian Charities and Not-for-profits Commission (ACNC). The Benevolent Society is concerned that the overall effect of the proposed bill will be to stifle public comment and engagement on issues of public interest, and to undermine legitimate advocacy by charities. Speaking out for others is one of our core values, and we defend our right, and the right of all charities, to do so credibly and impartially, notwithstanding the source of funding which supports it. We call on the government to reconsider this bill. 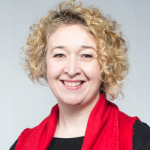 About the author: Dr Kirsty Nowlan is the executive director strategic engagement, research and advocacy at The Benevolent Society. Her background is principally in the international development sector, where for over 10 years she has developed a track record of driving policy change and leading effective advocacy teams. She was previously with World Vision. Dr Kirsty Nowlan is the executive director strategic engagement, research and advocacy at The Benevolent Society. Her background is principally in the international development sector, where for over 10 years she has developed a track record of driving policy change and leading effective advocacy teams. She was previously with World Vision.